PepsiCo orders 100 electric trucks to Tesla Semi It is the largest order of Tesla trucks so far: 100 units, representing a deposit of two million dollars. Tesla may have found a "gold mine" in the beverage industry. After registering a large order by Anheuser-Busch, which reserved 40 electric trucks to the Elon Musk company, the automaker now received a new request: PepsiCo orders 100 electric trucks from Tesla, which intends to add 100 of these vehicles to your fleet of distributions. Pepsi will have to pay an initial of 20,000 dollars for each of these Tesla Semi, thus leaving an initial account of 2 million dollars. If the retail price of the truck reaches 150 thousand dollars, the company will end up paying anything like 15 million dollars. After the presentation of the Tesla Semi Truck by Elon Musk, many were critical voices. Some people did not believe that Tesla's 100% electric truck, which advertises benefits never seen before and a minimum autonomy of 800 km, will be operative. Many have doubts about the capacities of the batteries, driving position (central) and, of course, on the always discussed production capacity of the North American brand. 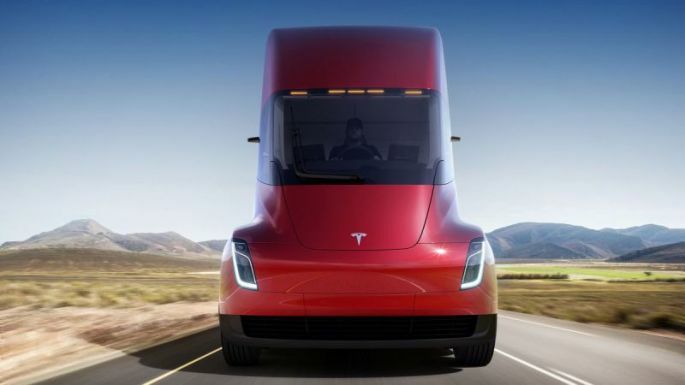 But there are also those who believe that Tesla will not only produce and sell the truck as it has some technological advantages not yet disclosed to achieve the announced objectives. The criticisms have not prevented several companies from showing interest in the Semi Truck. Some have already specified the interest with specific orders. It was the case of Walmart, a major North American supermarket chain, and DHL, one of the largest transportation companies in the world. But the record order was now registered by Pepsi, which, according to Reuters, announced the reservation of 100 Semi Truck . As each reservation has a cost of 20 thousand dollars, Tesla must have received two million dollars of Pepsi. To the purchase of the trucks, Pepsi's investment will have to total 15 million dollars since it is expected that each Semi Truck has a final price around 150 thousand dollars. "PepsiCo intends to place the Tesla Semi on the shortest distribution routes of snacks and beverages among manufacturing, distribution and sales points within a radius of 800 kilometers, the maximum promised by Tesla CEO Elon Musk, Reuters , one of the people in charge of the company. 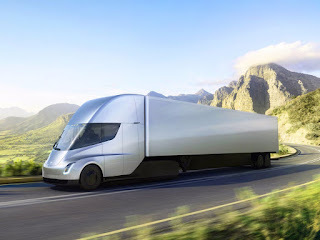 "The electric trucks to Tesla will complement the PepsiCo fleet in the United States, which already has almost 10,000 vehicles, and will be a central point in the plans that the company has to reduce, by at least 20%, the current emissions of greenhouse gases, "said Mike O'Connell. Since the official announcement, which was made last November by Elon Musk, Tesla has already received orders from large global companies, such as Walmart and DHL. The date of delivery of the trucks, however, is not yet defined. Even though the business seems large by the standards of most companies, PepsiCo has a fleet of 10 thousand large trucks. However, according to company representatives, the 100 electric trucks to Tesla will be an important part of PepsiCo's plan to reduce 20% of greenhouse gas emissions by 2030.